With the rise of automated accounts and businesses that let you buy fake followers, there are a lot of fake Instagram influencers out there. This isn’t surprising consider just how profitable being an influencer can be. So everyone wants to enjoy the benefits. But some do not want to put in the work to build an organic following. In 2018, Twitter cracked down on fake accounts on the platform, suspending 70 million accounts within just two months. Lots of celebrities and influential figures lost millions of followers in the process. In November of the same year, Instagram declared that it too will be deleting fake accounts. Just how many fake accounts are out there? And what if you end up working with an influencer who has tons of fake followers? How exactly can you identify fake influencers? 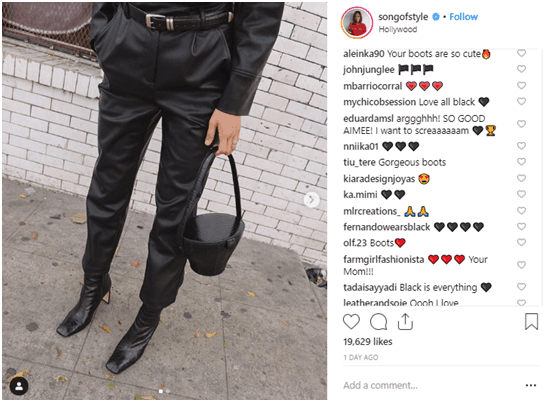 In this post, I will be discussing the topic of fake Instagram influencers and how harmful they can be for brands. But most importantly, I will teach you how to identify them. First of all, what do we mean by fake influencers? The simplest explanation is that fake influencers are those people who present themselves as “influencers” but whose social media following is largely made up of bots and fake accounts. In other words, they have no real influence. So working with them wouldn’t yield any real results. While every social media user is susceptible to the occasional bot followers, these influencers willingly sign up for them. This is mainly because of the mistaken belief that being an influencer is all about getting millions of followers. That isn’t too big of a stretch because a large social media following is what attracts certain brands when they’re looking for an influencer. These fake Instagram influencers try to take a shortcut and pay to get more followers. There are sites that let you buy a certain number of bot followers for a fixed price. So a large portion of the followers of these fake influencers are bots or fake accounts. In other words, they aren’t actually engaging real people and these fake accounts won’t engage with their content. A lot of brands, even the big ones, have made the mistake of partnering with fake Instagram influencers. In fact, a Points North Group study found that Ritz-Carlton tops the list of brands that have fallen prey to influencers with fake followers. According to the study, the influencers they have worked with have about 78% fake followers. Brands like Pampers, Olay, Neiman Marcus, and L’Occitane are also among the top 10 list of brands with fake influencers. The study also found that mid-level influencers (those with 50,000 to 100,000 followers) typically have about 20% fake influencers. These are shocking numbers because it means that brands are wasting thousands of dollars to engage bots when they could be spending their money to engage real people. These bot followers will not really engage with sponsored posts. And whatever real followers these influencers have, they aren’t enough to have a real impact, at least not in the way the brands expect. Some fake Instagram influencers may also buy likes and comments. Some may be part of comment pods in which other fake influencers engage with their posts. Regardless of the situation, brands are still not reaching real consumers who will be interested in their products. So they won’t see the kind of results they expect for the money they spend on influencer marketing. This makes it crucial for brands and marketers to set up a proper influencer vetting process. Instead of just choosing influencers who have a massive following, you need to carefully assess the authenticity of their influence. This will help you put your money in the right place and get better results out of your influencer marketing campaigns. One of the easiest ways to detect fake Instagram influencers is by checking their engagement to follower ratio. Most fake influencers will have thousands of followers but barely any likes. 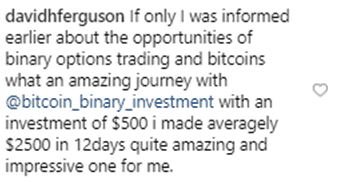 So if you notice something like this on an influencer’s Instagram account, there’s a good chance they may be buying followers. You can use my Instagram Engagement Calculator to easily calculate the average engagement rate of an influencer. This tool accounts for the engagement an influencer received in their last 12 posts and compares it against their following size. It will then give you the average engagement rate. But how will you know what engagement rate a real influencer should have? The median engagement rate for photo posts on Instagram is around 2.7%. So anything between 1% and 3% would be considered average engagement, and anything below 1% is very low. You should avoid influencers whose engagement rates are lower than 1% because there’s a good chance that they are fake. Meanwhile, the influencer whose engagement rate I analyzed above, @heydavina, has an above average engagement rate at 4.97%. Some fake Instagram influencers will also buy likes and comments on their posts, in addition to buying followers. In some cases, the bot followers they bought may be smarter than usual. And they will generate comments to appear more authentic. So this means that their account will have a decent engagement rate. And there’s a chance that fake Instagram influencers could still pass the first test. Manually going through their post interactions is a great way to double check their authenticity. The quality of those interactions will help you understand the quality of their followers. A lot of spammy and irrelevant comments would be a dead giveaway that the influencer is buying followers, comments, and likes. These bot comments tend to be generic, which means they can easily fit every kind of post. They could say stuff like “awesome,” “great shot,” “lovely pic,” etc. Or they could simply leave emoji comments that would be applicable to most pictures. In the following screenshot, you can see that the comments are pretty generic. These comments would be suitable for any post, which means there’s a good chance they’re coming from comment bots. You may also come across posts with completely irrelevant comments that are clearly spam, such as the one in the screenshot below. But every public Instagram account is susceptible to receiving such comments. And seeing a couple of these comments doesn’t necessarily mean you’re dealing with fake Instagram influencers. So unless there’s an unusually high number of these spam comments, don’t be too alarmed. Your main concern should be an excessive amount of super generic comments that seem relevant enough but could still work on other posts too. In most cases, you should be able to easily filter out fake Instagram influencers by the time you complete the second test. But if you’re still having a hard time figuring out whether those comments are coming from bot accounts, the next step you can take is to examine some of the profiles. This is a perfectly reasonable dilemma because you may not want to immediately discredit some accounts just for leaving emoji comments and generic comments. 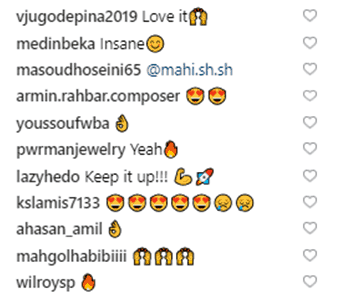 Some real accounts do leave a lot of emoji comments, but they will typically be relevant to the image or caption. But it’s hard to tell the difference every time. For example, in the following post from style influencer. Aimee Song, there are a lot of emoji comments. But if you look closer, most of the emojis are black hearts and black flags. This is because she’s wearing an all-black outfit and she’s mentioned something about it in her caption. So these comments are clearly not coming from bot accounts. To confirm the authenticity of an influencer’s followers, you can go to the profiles of some of their followers. This may be a lengthy process, but you can simplify it by choosing to analyze the profiles of people who leave generic comments. I’ve noticed that people don’t put in too much effort when they create fake accounts. They typically leave the bio blank or include only a few details. They will usually not have many posts, and sometimes they will have no posts at all. Some fake accounts may not even have a profile picture. And in most cases, they won’t have a lot of followers. So take note of all these factors and determine if a large portion of the comments are coming from accounts that fit any of these descriptions. In this case, it’s highly likely that you’re dealing with fake Instagram influencers. Here’s a good example of an Instagram account that clearly looks fake. Another easy way to detect whether an influencer has bought followers is by analyzing their follower growth rate. Fake Instagram influencers will usually have a sudden spike in followers at some point of time. The growth rate will then remain stagnant afterwards since they’re not gaining any new followers organically. I recommend that you use tools like InfluencerDB to conduct this analysis. This tool lets you access some basic influencer analytics for free, including their follower growth rate. 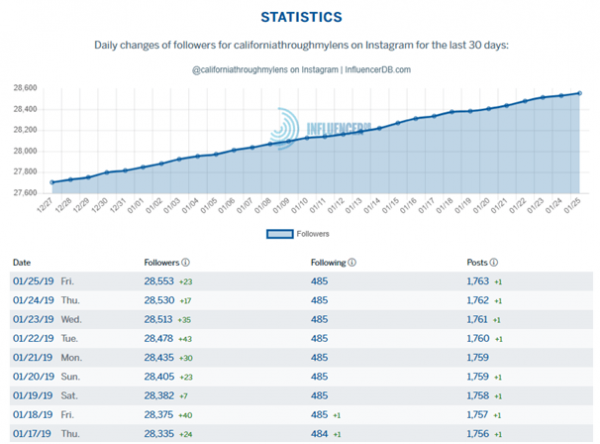 Take a look at the following growth chart of an account that likely bought some followers. There seems to be a sudden and drastic spike in followers within a two-day period. But then the growth slightly drops soon after and then remains stagnant. The follower growth rate of this account looks highly unusual and suspicious. There’s a good chance they bought followers because there’s no other logical explanation to that spike. Plus, there’s also the fact that the account gained a lot of followers on some days and lost tons of them on other days. 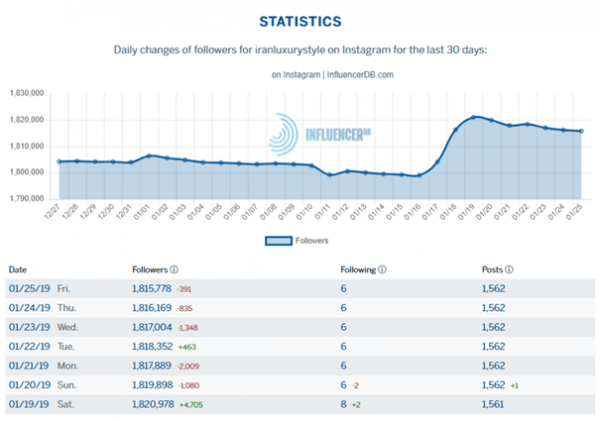 Fake Instagram influencers will have similar follower growth charts. On the other hand, a real influencer will have a steady follower growth rate without any major spikes or drops in follower count. Their follower growth chart will ideally move steadily upwards like in the case of the Instagram travel account, @californiathroughmylens. And if you look at the daily follower growth rate, you can see that the account is gradually gaining a handful of new followers every day. This simple analysis will give you a fair idea of whether an influencer has engaged in unethical practices to gain their influence. Plus, the tool is very easy to use. You just need to enter the username in the search bar and click on “Analytics” when the account shows up in your search results. It will then take you to the page displayed above, where you can view several other details about the influencer. The tips I’ve shared above are more than enough to help you identify fake Instagram influencers. However, you could go one step further to check the authenticity of an influencer by analyzing their audience quality. Or you could also skip the rest of the tactics and go straight to this one. You will need to use a tool to run an audience quality check for potential influencers. While the previously-mentioned InfluencerDB tool also has this feature, it is only available to premium users. 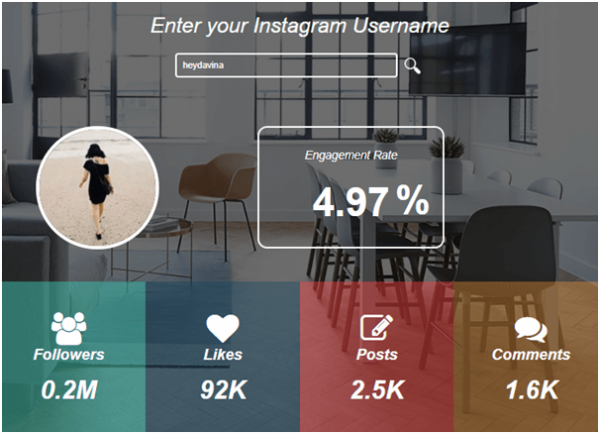 Instead, you can try the free IG Audit tool that’s built specifically to analyze the percentage of real followers on Instagram accounts. How Brands Can Build Strong Relationships With Influencers? You just need to enter the username of the account you want to analyze. It’s important to note that this tool will only work for public Instagram accounts. If I run an analysis of the suspicious account I previously analyzed using InfluencerDB, it gives me the following results. As you can see, the tool has estimated that only 12.4% of the account’s followers are real. Besides analyzing the audience quality of potential influencers, you can also use this tool to check your own audience quality or that of your competitors. This will give you insights into how much real impact your brand is making on Instagram and how you measure up against your competition. Keep in mind that every Instagram account will have bot followers because of the prevalence of bot accounts. Most people may be unaware of this because these accounts don’t make up a large portion of their following. So you won’t have a 100% real followers estimate. It’s when the number of real followers is suspiciously low that you should be wary. In this case, the tool will highlight the number in red as shown in the previous screenshot. 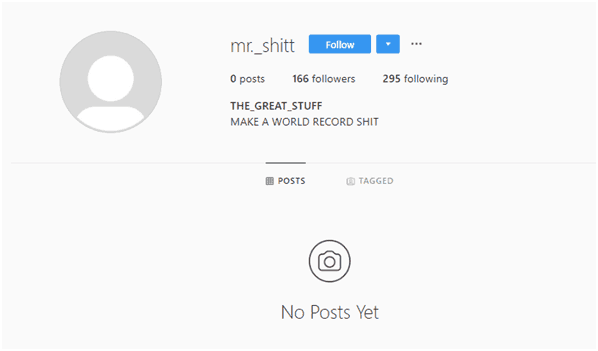 That signifies that the account belongs to a fake Instagram influencer. When a good portion of the influencer’s followers are real, the tool will display the number in black as shown below. I’ve thoroughly covered the topic of fake Instagram influencers and provided you with several tricks to identify them. Use these tips in your influencer vetting process for your next campaign. Have you accidentally partnered with a fake Instagram influencer? Do you think these tips will help you filter them out next time? Let me know in the comments below.